SAP wants to speed up how analytics adapt to change. It's doing that by embedding SAP Predictive Analytics' machine learning capabilities in S/4Hana. "When you take something rules-based, you are not able to adapt predictions to new data," said Mike Flannagan, SAP's senior vice president for analytics, ahead of the company's Sapphire Now customer conference in Orlando. "The power of machine learning is you are able to continually update the model. Your model is running against all the data it has seen so far." But there's another stumbling block to that: the computing power required for machine learning systems. "Most business apps aren't robust enough to handle the machine learning computation," said Flannagan. S4/Hana, on the other hand, is fast enough to embed machine-learning prediction in a core ERP system, something that was previously only possible with rules-based prediction, he said. That technology shift is a game changer when it comes to tasks like using the sales pipeline to predict the next quarter's revenue. "You don't have to wait till you have closed the books," he said. The same forecasting can also be applied to inventory, allowing real-time control of raw material orders. And with the machine learning capabilities, "It can adjust dynamically over time," Flannagan said. 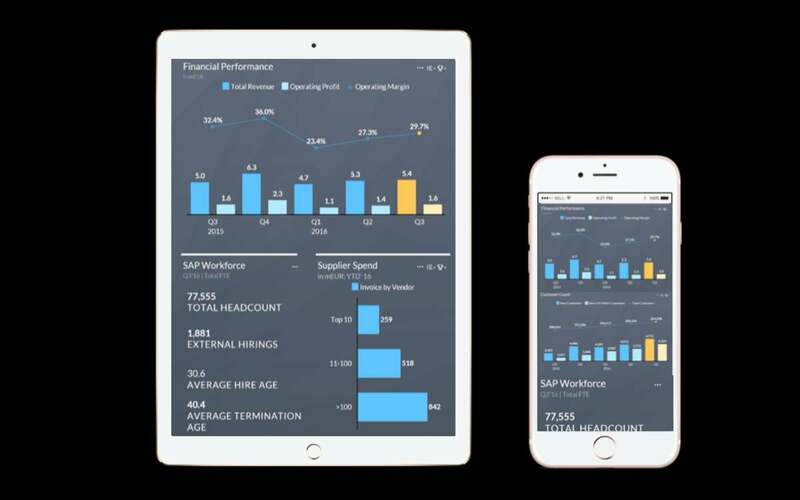 SAP is updating its SAP Analytics Cloud to include live connections to Business Warehouse/4Hana, R scripting and other features, and aims to release a new mobile app for it on iOS later this month, it said Wednesday. The company also presented Lumira 2.0, bringing together its Lumira visualization tool and SAP Lumira Designer, formerly known as BusinessObjects Design Studio. "One of the things a lot of customers asked us to add is new data sources, like IoT and streaming data. We're going to show this with a partner called Zoomdata, to visualize that at the speed data is coming in," Flannagan said.